Lots of nonfiction on your list. I like that. I hope Santa brings all of these and more! Year of Yes is great as an audio. Listening to her narrate was wonderful. I really want that Nora Roberts trilogy - I have heard good things. The Padma book is probably really good too. Hope you get all of these!! I did The Regional Office is Under Attack! on audio a bit earlier this year and definitely recommend it! Ohh I love the sound of The Life and Times of Miss Jane Marple by Anne Hart, I think I'll have to get a copy of this too! Good choices! #6 I definitely want to see. My Mom has Guardians trilogy on her Christmas list! I read Dinner With Edward this year--I look forward to your review. I often feel the same way in a bookstore. I love this list, Katherine. I do hope you get to read The Invisible Library. I hope to listen to the audio of Rhimes book next year. I hope you find some, if not all, of these under your Christmas tree this year, Katherine! Several of these books are ones I've been meaning to get to as well. Maybe in 2017 we'll both read them. Hope we love them when we do. I really want to read The Invisible Library and I remember seeing The Elegance of the Hedgehog and wanting to check it out, so I'll have to try that soon! I have read Year of Yes, and I think it's a good read for anyone - not just fans of her TV shows, as I've only ever seen Grey's Anatomy and I don't watch it now. 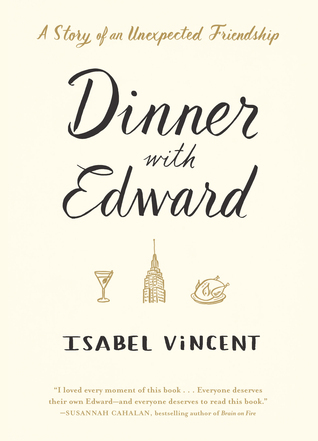 Dinner with Edward is very good, I'm not done with it yet but if you like foodie memoirs, you will love this book. These all look like really interesting books. The Miss Marple mysteries are the only Agatha Christie books I've ever read but I always really liked them. They sort of reminded me of Murder She Wrote. I think Shonda Rhimes is pretty interesting, but I also can't watch her shows. Too stressful for me. 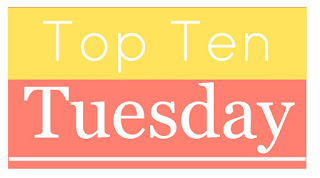 I've read 1 and 10 and liked them both, Shonda Rhimes was great and recommend that one on audio. Her own voice is perfect. All the others.... really unfamiliar. Hope Santa is good. I just saw The Regional Office today on another blog and I love that title! I must find out more! I think you'll like The Invisible Library- very imaginative- and the Anne Hart book sounds great too. I hope Santa brings you some books from your list! Books under the tree would be lovely! I got a Christmas gift from my grandmom today of books she'd like me to read. SO not my genre but I'm going to give them a go so we can talk about them. I haven't heard of any of these, but I hope you find every one of them under your tree this year. Happy holidays! Awesome set of books you have! 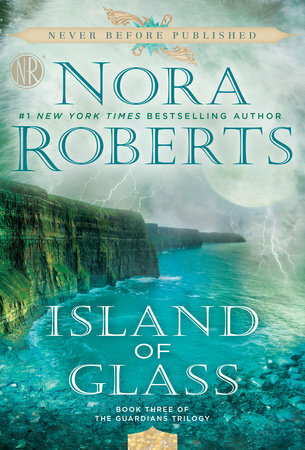 The Island of Glass sounds really interesting! Yes! The Regional Office is Under Attack is awesome!!! I told myself I would stop read NR trilogies as the last one was disappointing in the third installment, but these covers for this newest one is so eye-catching. I think I will have to request it for winter break. Oh, I hope you find at least some of these under your tree! I preordered Island of Glass, so I've already read it (and enjoyed it -- but I won't spoil it for you.) And the Miss Marple "biography" sounds delightful! I really need to try Nora Roberts at some point! The Regional Office is Under Attack! definitely does sound awesome! Hope you get a few of these under the tree! Happy holidays, Katherine! How is it possible that my brother recommended me The Regional Office is Under Attack! and here I see it on your list. i feel like my brother picks the most obscure books to read so I find it fascinating you picked it. It does sound good though. My mom loves Nora Roberts. I really should try her books at least once. #3 and #7 are both on my wish list, too. I read and loved The Elegance of the Hedgehog. It was slow going for half the book for me but then everything just clicked.